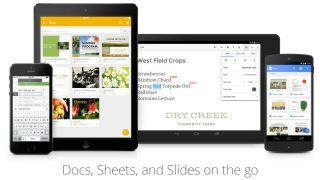 Google is beginning to roll out a new update for Google Drive for Work that brings added security to file sharing. With new sharing controls, digital information rights management (IRM), and alerts, IT administrators now have better control of how corporate files are shared. "And to keep your company's data even more secure in Drive, we're launching new sharing controls, alerts and audit events to Google Drive for Work and Google Education over the next several weeks," Google said in a statement. In one instance, Google detailed a scenario in which a company may want to keep files created by the research department internal. By adjusting the Drive settings within the Admin Control, administrators could limit the files from the research department to only be shared internally to users with the same domain. These settings could be tweaked for various departments. Each department will have their own share settings. The rollout for the update starts today and continues over the next month. To control how files are shared and handled, a new Information Rights Management (IRM) setting allows file creators to limit downloading, printing, and copying. If you have sensitive information that is meant to be accessed only by a few people, IRM helps to prevent these files from being copied or further disseminated. IRM can be applied to any file created within Google Docs, including spreadsheets, documents, and presentations. Administrators can also set up custom alerts that will be sent to their phones if any of the policies are breached. "So if you want to know when a file containing the word 'confidential' in the title is shared outside the company, now you'll know," Google detailed. "And there are more events coming to Drive audit, including download, print and preview." Custom Drive alerts can also be used to let administrators know when things change. For example, a Drive alert could be set up to notify if a shared calendar was deleted. Administrators can also add trusted domains. Businesses, schools, and organizations with multiple Google apps domain will benefit from this feature as trusted domains, once added, will be treated like an internal domain for files limited for internal access. Administrators can also set up an expiration time for temporary file shares with trusted domain users. For organizations, this means that you can add your partners' and customers' domains and share files as if they are internal to your business. Schools can also add domains for individual departments for broader collaboration. Sharing documents with people outside of your organization is easier, even if they don't use Google services. A new feature, if enabled, allows shared Drive files to be viewable without having to sign in with a Google account.